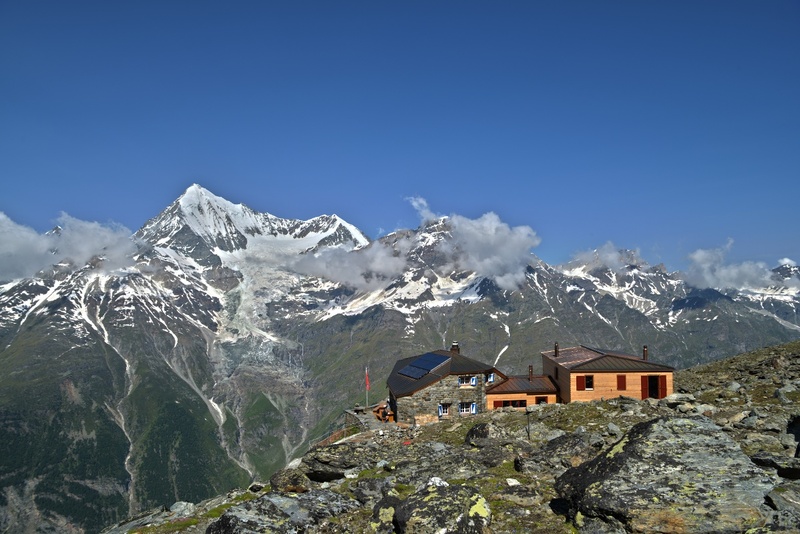 The Dom hut (2,940 m) is a mountain refuge run by the Swiss Alpine Club (SAC) and equipped with ultra-modern facilities. Its strategic location makes it a popular choice for ascents of seven of the highest mountains in the Alps. 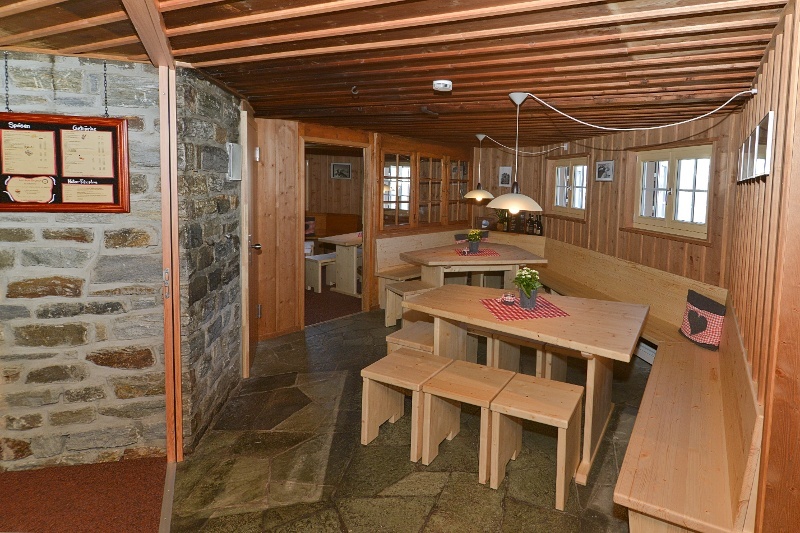 Before hikers can enjoy the welcoming, modern atmosphere of the Dom hut, they have to conquer a climb of 1,635 vertical metres. This demands a high level of fitness, experience of the mountains and a good head for heights. Parts of the trail are exposed, requiring hikers to make use of metal rungs and safety cables. In the cabin, new arrivals find themselves in colourfully mixed company – from mountaineers equipped with ropes, crampons and ice axes to mountain walkers who wish simply to enjoy the views in a comfortable setting. 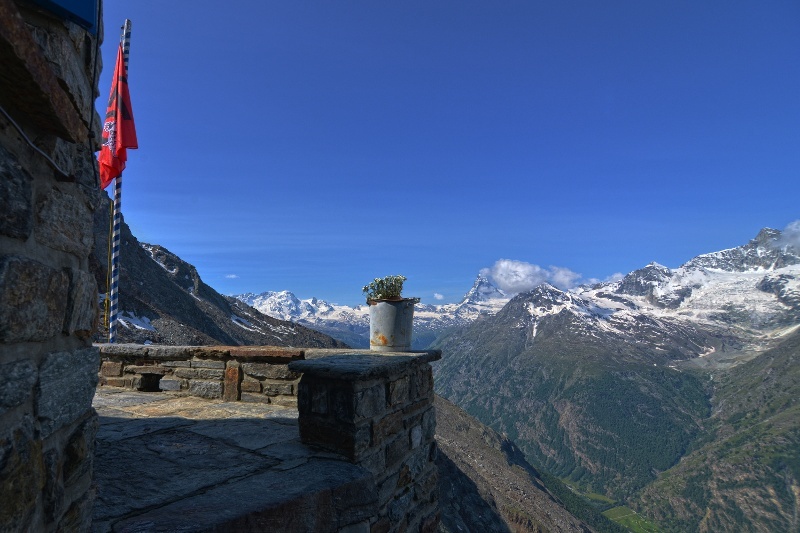 From the Dom hut, you can climb the highest peak within Switzerland’s borders (the Dom 4,545 m). Or you can simply enjoy the fantastic panorama in this high Alpine setting. A view of the Matterhorn, Weisshorn, etc. Additional information and recommendations are available from the guest information centre at Randa station.